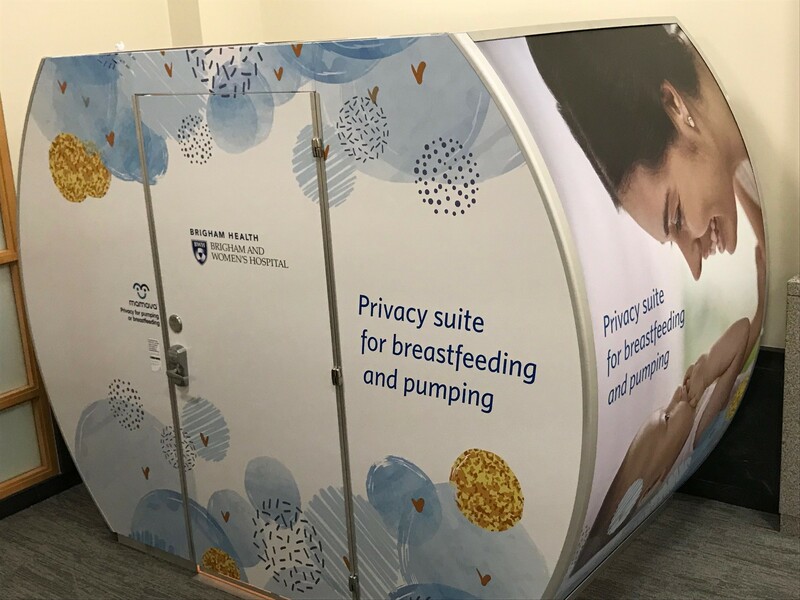 Boston, MA (September 27, 2018) – A new freestanding lactation suite is now available for use at Brigham and Women’s Hospital, offering a safe, private and convenient space for nursing moms to breastfeed and pump breast milk. The lactation suite is a self-contained unit equipped with a hospital-grade breast pump and is conveniently and prominently located in the waiting area of the Center for Women and Newborns, a public space adjacent to the main lobby on the first floor of 75 Francis Street. It is the first of its kind in use at a Boston hospital and is available to patients and their families, employees, and visitors. 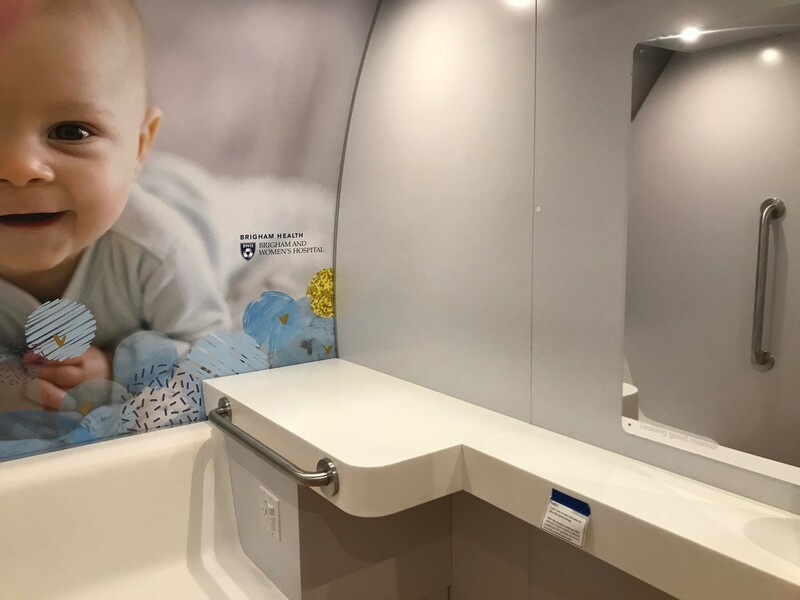 “We are pleased to offer continued support to breastfeeding moms by creating a welcoming environment through the addition of this fully-equipped lactation suite, which is available and easily accessible for staff, patients and visitors while on our campus,” said Betsy Nabel, MD, President of Brigham Health. 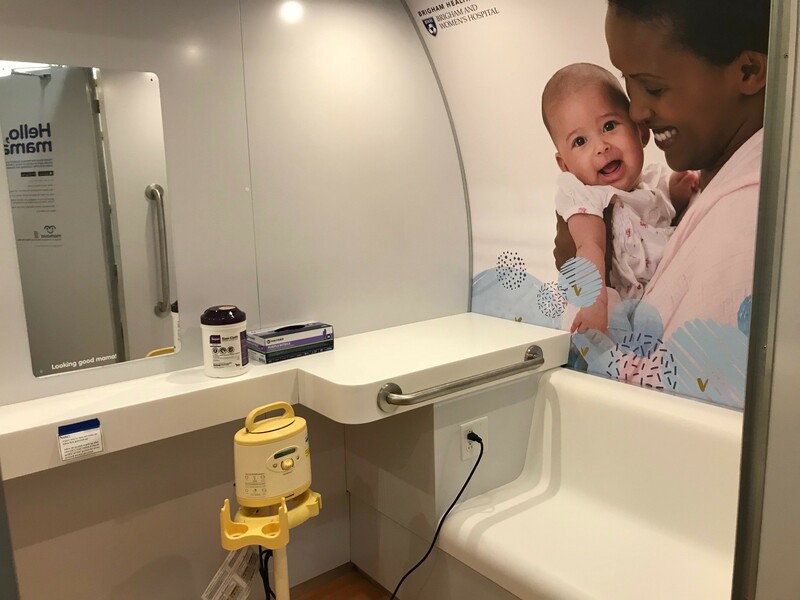 In addition to the pump, the 4-feet-by-8-feet suite, created by Mamava, is wheelchair accessible, and has two comfortable benches, a fold-down table, power outlets, and a door that can be locked for privacy. The suite is meant for individual use and has room to accommodate mothers with babies and other children, as well as personal property. Nursing moms can locate and unlock the pod with a free app and its Bluetooth-enabled SmartLock, available on the App Store (iOS) and Google Play (Android). BWH has a history of supporting mothers who choose to breastfeed. The hospital has a team of board-certified lactation consultants who care for mothers and infants in the Center for Women and Newborns, and BWH was recognized in 2015 with the International Board-Certified Lactation Consultant Care Award. BWH is actively seeking designation as a Baby Friendly Hospital through the Baby Friendly Hospital Initiative, which is a global program launched by WHO and UNICEF to encourage the broad-scale implementation of the Ten Steps to Successful Breastfeeding. This new lactation suite adds to the 18 existing lactation rooms available across the BWH campus for hospital employees.